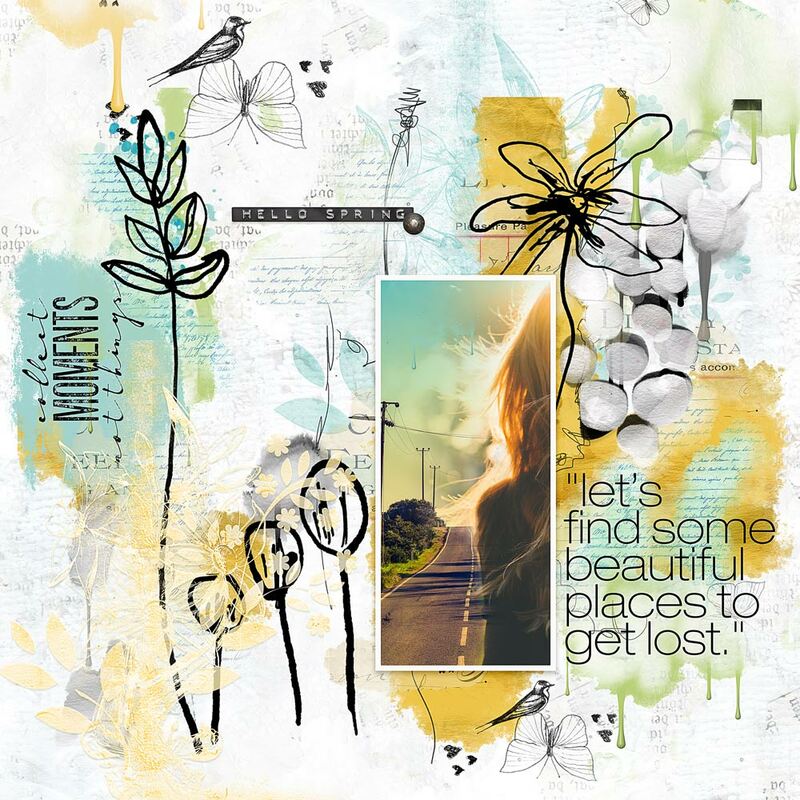 Hi everyone, Ona here to share with you one of the layouts I made using Nicole’s new Art & Nature Collection! and oh goodness, what a magnificent collection it is! 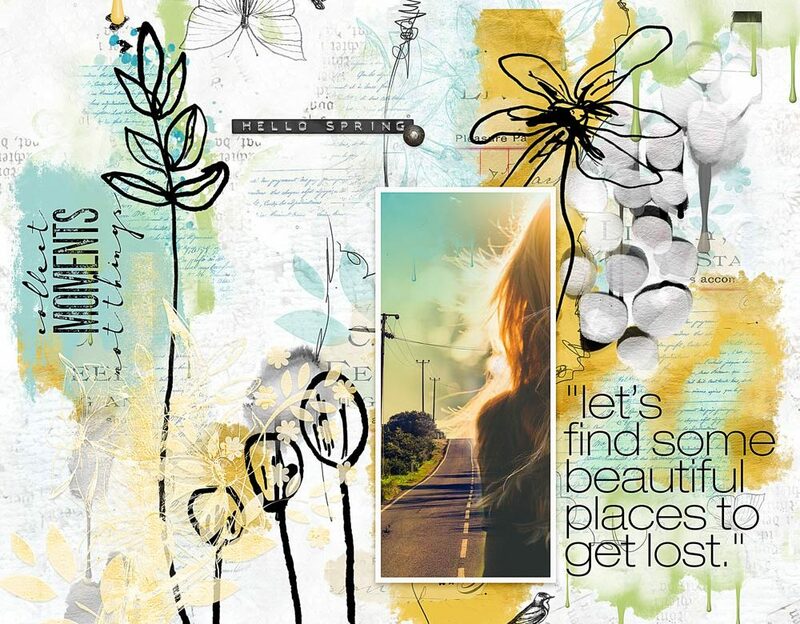 Full of sunny spring colours and delicious paints and brushes and styles!!! It was a really easy page to make as Nicole did all the hard work in creating the the png file I have used as my background!! I only added some extra brushwork, wordart and a background paper along with the photo. I merged two images together using masks to create the photo.